Individuals with degenerative shoulder arthritis, fractures, or an irreparable rotator cuff tear and who failed conservative treatment approaches to control pain should consult with a shoulder expert like Dr. Steven Chudik at the Shoulder, Knee and Sports Medicine Injury Clinic in Westmont and Western Springs, Illinois. Fellowship trained in shoulders, and a board-certified orthopaedic surgeon and Top Doctor, Dr. Chudik works with each of his patients to develop the best treatment option for his or her shoulder condition, injury, pain and lifestyle goals. Total shoulder replacement surgery may be an option. During the last 20 years, the number of total shoulder replacement surgeries has dramatically increased. According to the American Academy of Orthopaedic Surgeons, more than 45,000 shoulder replacement surgeries were performed in the United States in 2015 compared to approximately 18,000 in 2000. The procedure has become an effective solution for a host of painful shoulder conditions besides fractures which today accounts for less than 14 percent of the shoulder replacement population. Arthritis leads the reason for replacement at 74 percent. 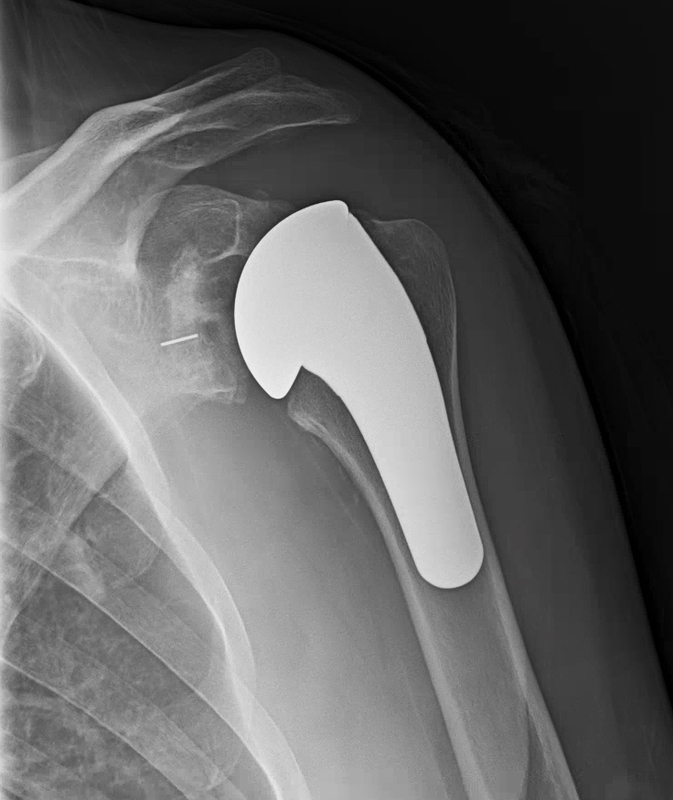 The U.S. Food and Drug Administration’s (FDA) approval of reverse total shoulder arthroplasty in 2003, and its documented success for use in patients of all ages. Improved implant devices and arthroscopic surgical techniques. Time to monitor and research surgery outcomes. One recent study found patient satisfaction with their shoulder replacement surgery was as high as 94 percent and the majority were pleased with their overall quality of life after surgery. If total shoulder replacement is determined to be the best option, Dr. Chudik performs it as an outpatient procedure so his patients go home the same day and typically wear a sling for up to six weeks to protect the repair of the rotator cuff. Physical therapy begins within two to three days after surgery. The physical therapist will move and stretch the arm and shoulder to prevent scar tissue from forming and the joint getting stiff. Physical therapy usually is prescribed for four months. Total shoulder recovery is dependent upon the patient following and completing the physical therapy protocol prescribed by Dr. Chudik. Return to driving usually is permitted six to eight weeks after discontinuation of the sling and pain medication. Return to work or activities depends upon the type of work/activity, but complete recovery requires between four to six months. According to Dr. Chudik, multiple studies have monitored shoulder replacement patients for short- and long-term outcomes and have reported exceptional results. Research also shows between 75 to 90 percent of shoulder replacement patients return to the exercise of choice with the highest number returning to swimming, followed by fishing, golf and tennis. If you or someone you know suffers from chronic shoulder pain, consider scheduling an appointment with Dr. Steven Chudik at the Shoulder, Knee & Sports Medicine Clinic. Dr. Chudik is renowned for his arthroscopic shoulder expertise and innovative procedures that reduce shoulder surgical trauma, speed recovery and yield excellent outcomes. Dr. Chudik treats patients from the Chicago area—including Downers Grove, LaGrange and Elmhurst—as well as patients from both coasts. He has convenient clinic hours plus onsite X-ray and MRI imaging capability. Contact Dr. Chudik today.